A deluge on the third lap of the race caused absolute chaos. The two Ferraris ran off the track from the lead, dropping right down the order, while four others aquaplaned off on standing water and were out. Several other drivers also had offs but were able to continue, including Jarno Trulli, who’d taken over the lead from the Ferraris, only to lose it in the impossible conditions. After a safety car period, the racing got underway again and the track soon began to dry out. 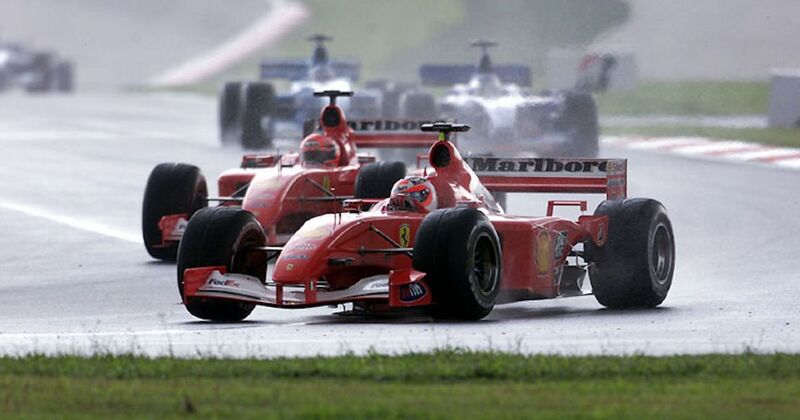 The superiority of the Ferraris and the Bridgestone tyres gave Michael Schumacher and Rubens Barrichello an advantage and before long, they were running first and second again. 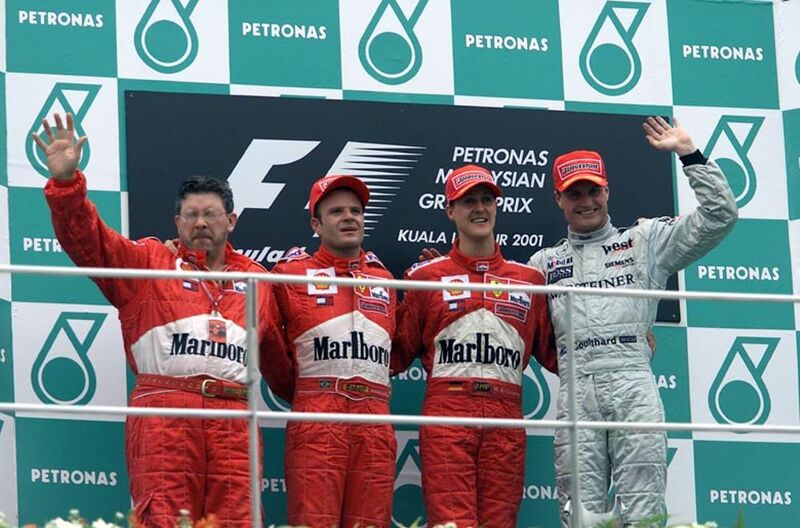 That how it stayed until the end with David Coulthard rounding out the podium in third. One of the stars of the race was the Arrows of Jos Verstappen, who went from 18th to sixth on the opening lap. Jos was in his element when the rain came down and moved up to second. As the race wore on he slipped back - albeit not without a fight - and eventually finished out of the points in seventh. Kimi Raikkonen won on his Ferrari debut but all eyes were on McLaren rookie Lewis Hamilton. After qualifying fourth, Hamilton passed teammate Fernando Alonso into the first corner to run third behind the fast-starting Nick Heidfeld. He even led a few laps during the first pit stop phase before eventually being leapfrogged by Alonso but with Heidfeld dropping back to fourth, it was still enough for Hamilton to claim a podium on his debut - the first driver to do so since Jacques Villeneuve in 1996. Jenson Button grabbed the lead from teammate Lewis Hamilton at the start and stayed there for the rest of the race to take the first win of the season. Sebastian Vettel made his way up to second by the end with Hamilton third, just about holding off a charging Mark Webber. Further down the order there were quite a few charging drives through the field. Fernando Alonso wrestled his difficult Ferrari from 12th to fifth - Pastor Maldonado was all over him in the closing stages before finally binning it on the last lap. Kimi Raikkonen went from 17th to seventh in his first race since 2009, and Sergio Perez used a one-stop strategy (rare during Pirelli’s high-deg tyre era) to go from 22nd to eighth. Mark Donohue (born 1934) played a massive part in the early days of Team Penske and made his F1 debut driving a Penske-entered McLaren in the 1971 Canadian GP. After tons of success in Can-Am, sportscars and IndyCar as well as wins in Nascar and the first-ever International Race of Champions he opted to retire from racing at the end of 1973. 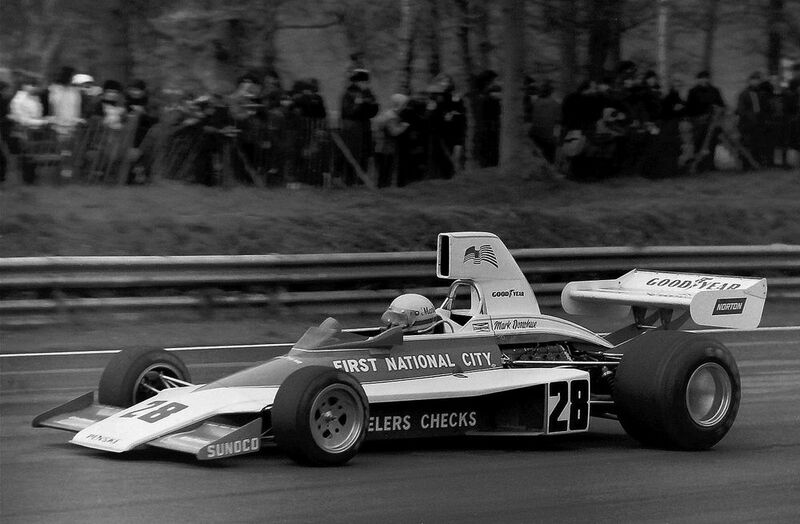 However, he was tempted to make a comeback when Penske started a full-on F1 team in 1974. He carried on into the 1975 season, scoring a few points, only to die following a tyre failure in practice for the Austrian GP. Michel Leclere (born 1946) started seven races for Tyrrell and Wolf-Williams across 1975 and 1976. However, despite a strong junior career, his best F1 result was only 10th and he ended up going back to Formula 2. Larry Perkins (born 1950) started 11 races across 1976 and 1977 for a variety of teams, managing a best finish of eighth in the 1977 Belgian GP driving for the obscure Boro team. With his F1 career not really going anywhere, he headed back to Australia and went onto become a Bathurst and V8 Supercars legend. Volker Weidler (born 1962) found himself a seat with Rial in 1989 but failed to qualify for any of the 10 races he entered. 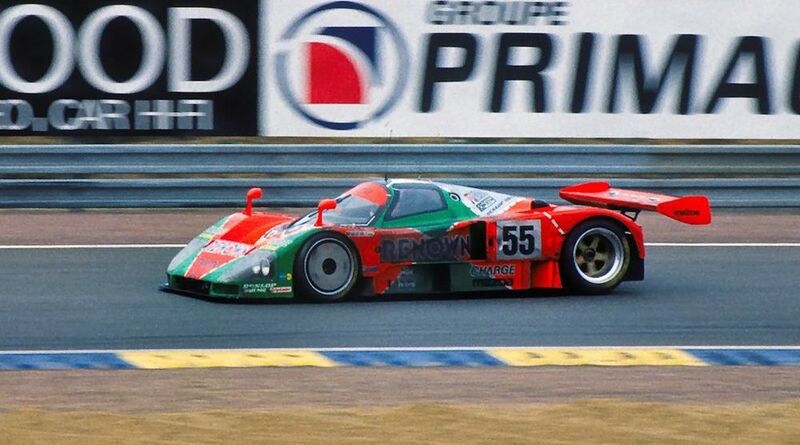 He’s probably most famous for being one of the drivers (along with Johnny Herbert and Bertrand Gachot) to take the screaming rotary-powered Mazda 787B to victory at Le Mans in 1991. Alex Caffi (born 1964) drove for a variety of backmarker and midfield teams between 1986 and 1992. He frequently showed flashes of speed, his best result being fourth for Scuderia Italia at Monaco in 1989, but a series of injuries and uncompetitive cars when at Footwork in the early 1990s dented his reputation. He had to join Andrea Moda in 1992 but two events were enough for him to realise that the team was a complete farce and he left to go and race in other championships. Is it that Glock’s birthday? It is! Born in 1982, Timo Glock made his F1 debut with Jordan for a few races in 2004, but it didn’t result in a full-time seat. After going back and winning the GP2 title he was picked up by Toyota for 2008, managing some strong points finishes, a second place Hungary, and a spot in F1 history when Lewis Hamilton passed him on the last corner of the last lap in Brazil to win the championship. 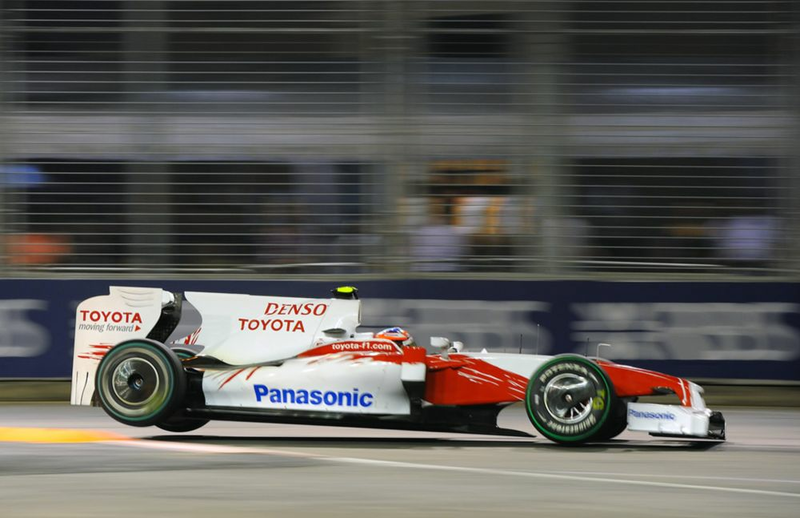 2009 built on that success and ended up being probably his best season - third in Malaysia (a race he might have won but for the timing of the red flag) and second in Singapore marked Glock out as a promising talent. Unfortunately, his F1 career took a nosedive when Toyota withdrew from the sport and he ended up joining the new Virgin team for 2010. Despite being impressive in three seasons of trundling around at the back, he left the sport ahead of the 2013 season (despite having a seat with the team) and went to race in DTM.